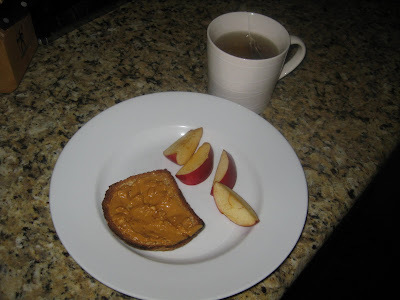 Breakfast yesterday was Ezekiel toast with Barney Butter and some apple slices. I also had a cup of vanilla chai tea. After dropping the kids at school, I met with another pre school room mom to go over some stuff for the year. 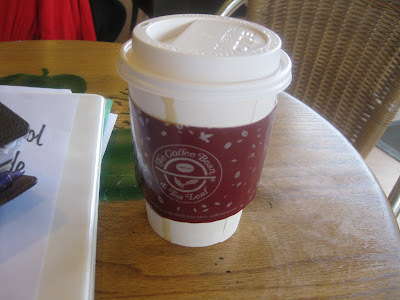 We met at Coffee Bean and I decided to try their Winter Dreams (or something like that) tea latte. 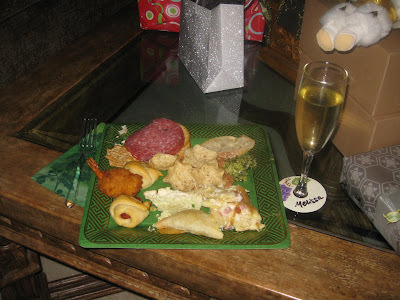 It was so yummy and tasted just like the holidays! I came home and took a much needed LONG nap. 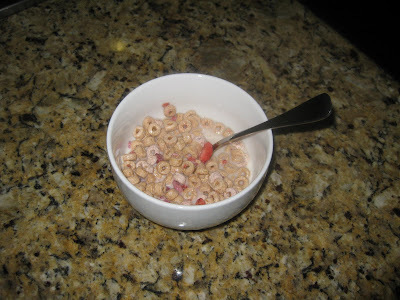 I felt so much better afterwards. I took a shower and started getting ready for bunco. I did snack on a piece of bread and slice of cheese because I slept through lunch. 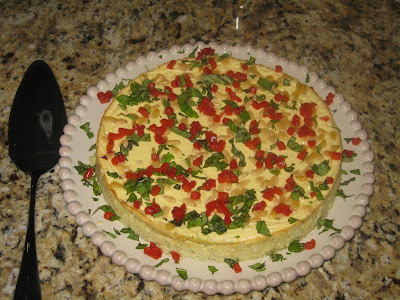 I also put the finishing touches on my appetizer that I was bringing: Pesto Savory Cheesecake. 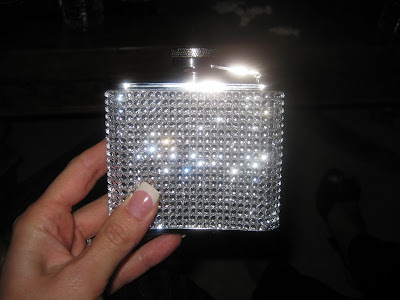 A bling bling flask. Could there be any better gift for me???? Thank you Dina!!!!! That's all for now!!! I have another holiday party tonight (Ugh) so I probably won't be posting until tomorrow again. Happy Wednesday! 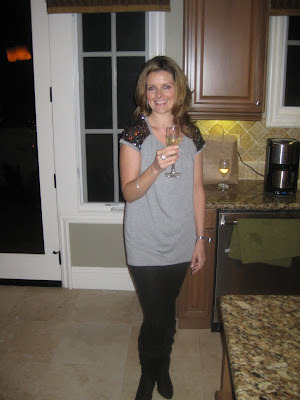 Love your outfit - you look so cute! 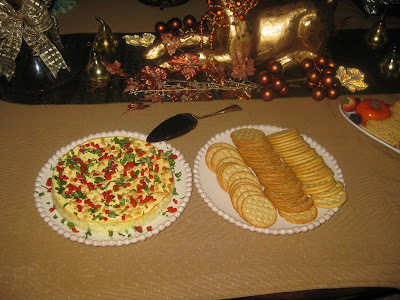 And that cheesecake looks awesome -nice that you have a little bunco group!!! Love the bling flask - fabulous.